Have you ever wanted to buy a home in your favorite vacation spot, but decided it was too costly? Fractional ownership real estate can be the solution! Enjoy the benefits of a vacation home with less hassle. You’ll split the cost with other investors and a management company or person will take care of the rest. Don’t be fooled – this isn’t a timeshare. When you own a piece of fractional real estate, you own a titled asset in real estate. Ownership is divided into shares and purchased by individuals. Both the cost and risk of ownership are shouldered by a group. Owners usually get to spend much more then a week per year in their residence – sometimes up to 3-4 months! How Can I Find Fractional Ownership Real Estate? Fractional ownership real estate can be difficult to find. It is a niche market that is not widely publicized, so you need a knowledgeable guide. The Multiple Listing Service is the top database of real estate in the United States and is the first stop when beginning to search for a property. You can search the MLS through websites such as MLS.com or the National Association of Realtors’ website, realtor.com®. These sites are easily accessible and are a great tool to start your search. However, the MLS is not always the best source to find fractional ownership real estate, for a few reasons. First, the MLS is limited to United States properties, so you won’t see any of your favorite Caribbean beaches or European getaways. Navigating foreign real estate sites can be difficult, even if they are translated into English. Secondly, fractional properties are often not even listed on the MLS. Companies that manage fractional real estate properties frequently prefer to market directly to vacationers instead of paying for MLS listings. While this is undoubtedly a successful approach, it means that a potential buyer will not see all the available properties through a simple MLS search. When starting your own search for a fractional ownership property, definitely do a search of the MLS, but be prepared to enlist a little more help to find your perfect place. It’s difficult to overstate the value of a knowledgeable, local realtor to guide your search. Once you’ve narrowed in on an area for your vacation property, the next best step is to contact a realtor who is local to that area. A local realtor can advise you on available properties that may not be listed online. Your local realtor can also be like your private tour guide – giving you insight into different areas and neighborhoods that you may not have visited during your vacations. When choosing a realtor, you will have to do some research. A popular agent with many years of experience is great, but not if they have too many clients to give you the time and help that you need. Recommendations from friends and family are always a good resource. Take the time to call a few local agents with good credentials. Make sure the agent you choose listens to your needs and makes you feel comfortable. A targeted search on Luxury Fractional Guide is the best choice to find the highest quality property in your desired area. 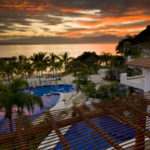 Luxury Fractional Guide works to have the most comprehensive list of fractional ownership properties around the globe. 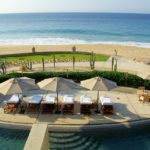 They also feature vacation clubs such as such as Inspirato, vacation exchanges such as Elite Alliance, and other vacation ownership opportunities. A quick search will return the best results for the area where you want to vacation. Luxury Fractional Guide also offers a blog that is a wealth of knowledge and advice on all aspects of fractional ownership. Imagine your next vacation in a property that feels like home!